You know when you leave it too long to watch a classic movie and it means you just don’t quite get what it was all about? I knew I’d watched The Godfather years ago, but I couldn’t remember a lot of it. Which perhaps in itself suggests that this is not the film for me. 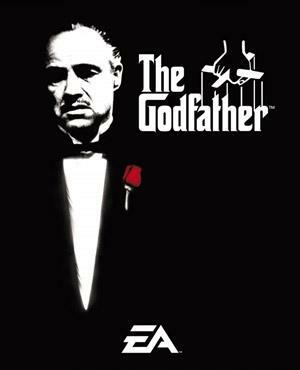 If you don’t know (as if you don’t know) Marlon Brando is the Godfather. The head of the mafia family, the Corleones. The film follows him and his family after there is an attempt on his life. Plans are laid and families are against each other. It’s violent and dark. I understand why it has such a great wrap, but I just didn’t really like it all that much. You know why, I think? I think it is because I am used to long form storytelling, and (despite it being almost three hours worth of film) there just isn’t enough time to tell such an epic story. I am well aware that if it were not for The Godfather, we wouldn’t have The Sopranos. Still, I thank The Godfather for starting it all. The Godfather won Oscars for Best Picture, Best Actor in a Leading Role (Marlon Brando) and Best Writing, Screenplay Based on Material from Another Medium (Mario Puzo, Francis Ford Coppola). It was nominated three times for Best Actor in a Supporting Role (James Caan, Robert Duvall and Al Pacino), Best Director (Francis Ford Coppola), Best Costume Design, Best Sound, Best Film Editing and Best Music, Original Dramatic Score.